SME AeroDef Automation sessions chaired by Carroll Grant, Royal Rep.
Carroll Grant has been associated with Royal Engineered Composites since 2004. He works as a part-time marketing rep on behalf of Royal. He has 44 years experience in the aerospace / aircraft industry. 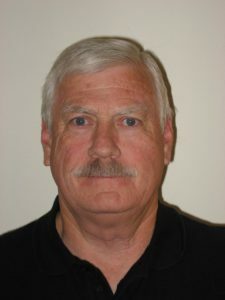 His aerospace experience includes 34 years in composites and 10 years in metal aircraft structure. In the 1990’s, he was heavily involved in the largest composites R&D programs funded by the US Government (NASA Langley Research Center Programs and DARPA Programs). During the 1990’s, he was Program Manager over several multi-million dollar composites R&D programs that were focused on automated processes to build aircraft structural components (fuselage and engine nacelle). Mr. Grant’s primary area of composites expertise is in the field of automated processes for aircraft composite structure. He is especially knowledgeable on the automated fiber placement (AFP) and automated tape layer (ATL) processes and equipment. Mr. Grant is extensively involved in arranging aerospace conferences. He is the current Chairman of SAE’s Manufacturing, Materials, and Structures (MM&S) Committee and chairs Automated Composites Manufacturing sessions at SME and SAE events. He will Chair the Automation sessions at SME AeroDef which will be held in Long Beach, CA on March 26 – 29. Royal is proud to have Carroll Grant as part of our team. If you don’t know Carroll already be sure to visit him at SME AeroDef and check out the Automation sessions, you can register here.